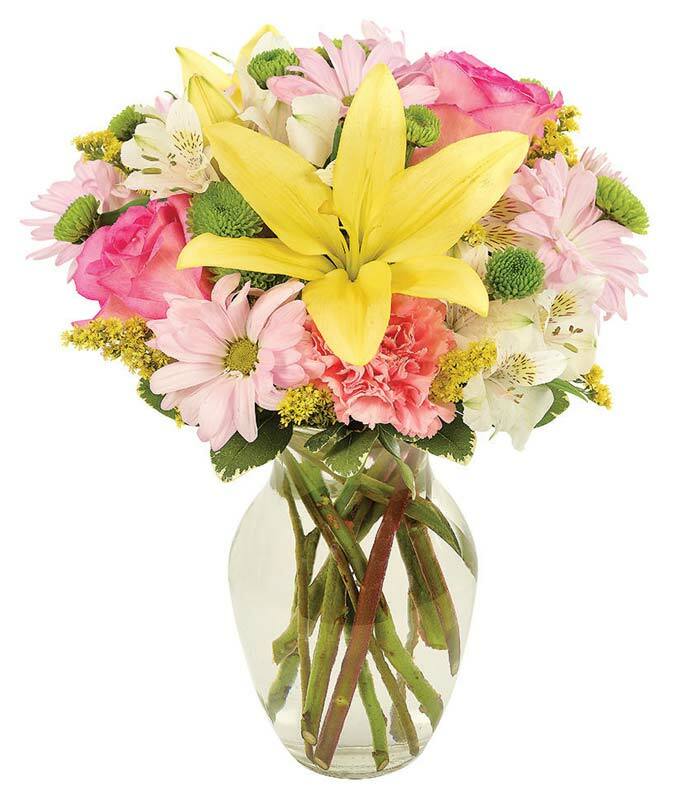 Send sunshine and cheer with this beautiful bouquet full of pastel floral with a pop of yellow. Your recipient will be delighted to receive this arrangement, and they'll have you to thank! Arrangement Height 15", Length 13"